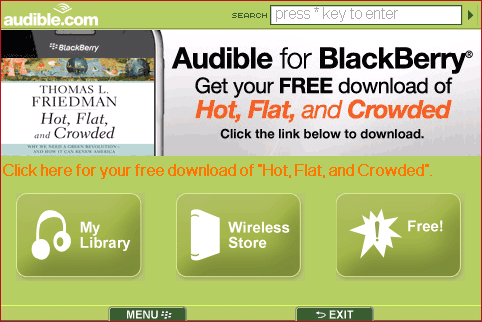 Audible for BlackBerry allows users to download, manage and playback Audible audio books. Shop, sample, download, and play audio from 100,000+ titles from every genre, including titles from top new authors and timeless classics. If you need more information please contact the developers of Audible for BlackBerry (Audible, Inc.), or check out their product website.